When ordinary is not an option!! Impressive and charming. Clean, open and bright. This home is sure to impress even the pickiest of all buyers!!! 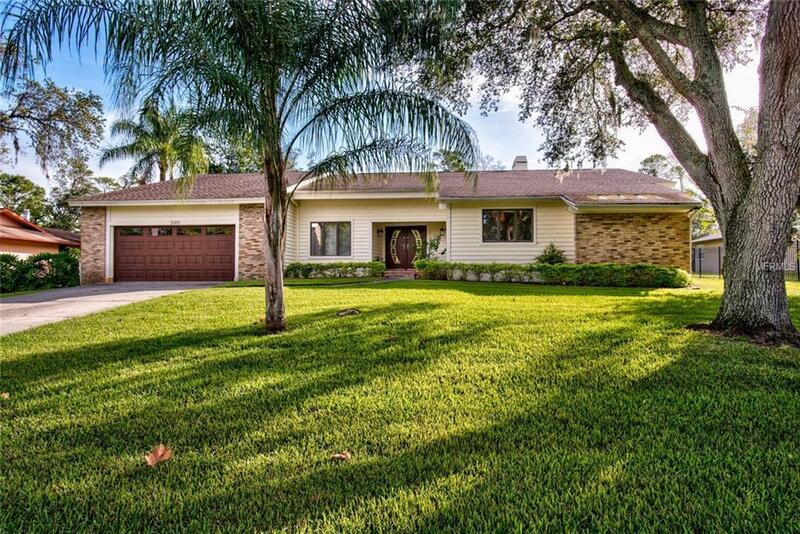 Located on all most 1/2 an acer of land in the heart of Palm Harbor on one of the highest points in Pinellas county. This Home is located in the Autumn Woods Community and is in a NON FLOOD ZONE.This home has been completely remodeled with European craftsmanship and offers many new features with ample room to entertain family and friends. Inside this home you will find all new flooring, NO CARPETS,vaulted ceilings, open concept, completely updated kitchen with 3 new ovens, new cabinetry, quartz countertops, updated bathrooms and custom European doors. Outside you will find A beautiful pool that has been resurfaced in 2016, New travertine stone paver,s Custom bar area and huge enclosed porch that can be enjoyed rain or shine. Additional features include. New hurricane rated garage door, new garage door opener, new ac, water softener system, reclaimed water to water your lawn, and most importantly NO FLOOD INSURANCE!!! Community offers a tennis court, basketball court, playground, gazebo and dog park. Approx 1 mile to the pinellas county trail. This home is an easy bike ride to the beaches, wall springs park and Innisbrook Golf Resort. Home is zoned for Palm Harbor Schools..